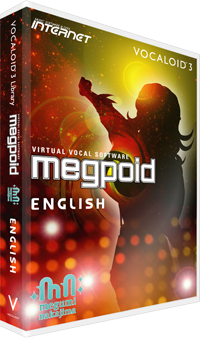 Two days ago I was able to download and install the 14-day trial for Internet Co.’s Megpoid English. . . and I’m having a blast! So far I’ve found that the Tiny Vocaloid 3 Editor included in the trial is very easy to use (though I did have to look up a few things in the User Manual). It’s easy to input the notes and lyrics of “Scarborough Fair”, and the best bit so far is that Megpoid sounds great even with very little tuning! Sure she’s not the best English Vocaloid, but she’s not the worst either. Personally, I like her a lot; and it’s a lot of fun to play with her voice. If you’re considering Vocaloid but don’t know if you’d like to spend that much money on it, why don’t you use the trial? You’ll have to hurry though–it’s only available for a few more days. On 14 February 2013, it won’t be available anymore! Anyway, if you want to download the trial, here’s the link: https://www2.ssw.co.jp/download/dl_trial_en.aspx You just need to give them your email address, and they will email you the download link. Want to learn more about Vocaloid? Check out my Vocaloid Intro post on the Cyber Creations Club blog. I warn you though, I may have gotten a little too much into technical details. . . I think I’ll write an updated version soon. Check out the Vocaloid Wiki. Tons of info! Lots of pictures! Links to demos! There’s hours of content here. . . .
Keep an eye on the Vocaloid scene with Vocaloidism. This–right here, actually–is where I learned about the Megpoid English trial version. ‹ PreviousSisterhood of the World Bloggers Award! I was thinking about making a post about the Vocaloid Megpoid Trial, but I found that my friend River beat me to it! 😉 Great post, River!